I’ve written before about Saj bread (or Lebanese Mountain bread) in more detail in my post about Labib, the wonderful little pie shop in Beirut. So, I am not going to repeat the same info again. 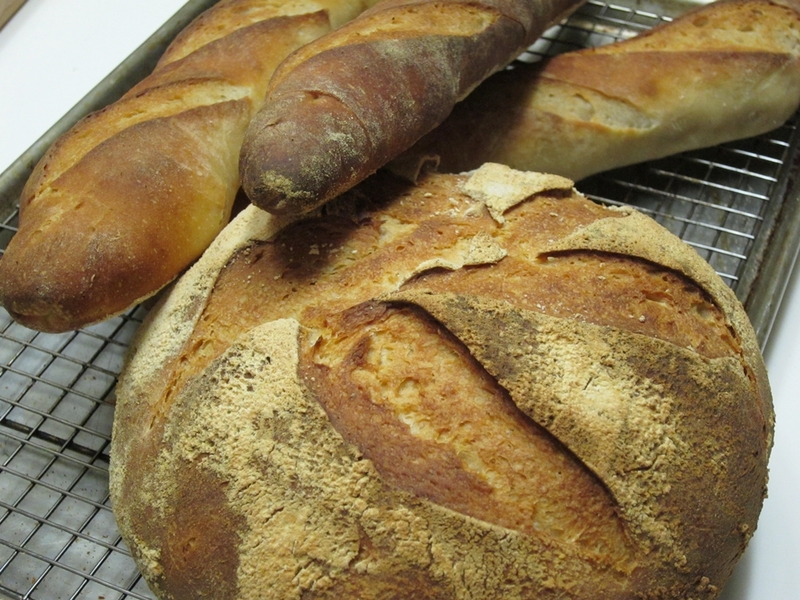 Suffice it to say that I got a major craving for this delicious bread and I had a good bit of homemade Labneh on hand, the thick drained yogurt. 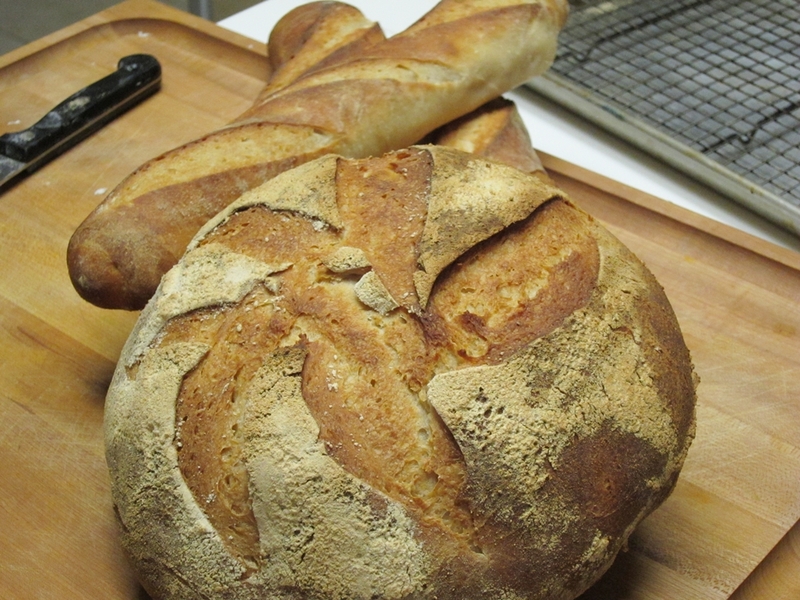 I still had some of the Pain al ‘ancienne in the fridge and I could not have asked for a better dough fit for this preparation. I have an old wok that I use as a make-shift (a bit ghetto, I know, but it works) saj. I invert it on top of my largest stove burner and voila! A mini saj. 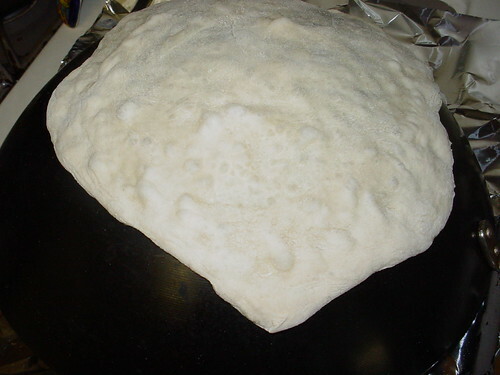 I make a quick rough dough circle of the dough, ‘rough’ is the key word here, and place it on the hot upside down wok. A minute later I flip it over and cook it for another 20 seconds. That’s it. I served these babies topped with the drained yogurt, olive oil, salt, arugula and olives. For me, it can hardly get any better than this. Focaccia is easier and less forgiving that pizza to make at home and could be just as satisfying. 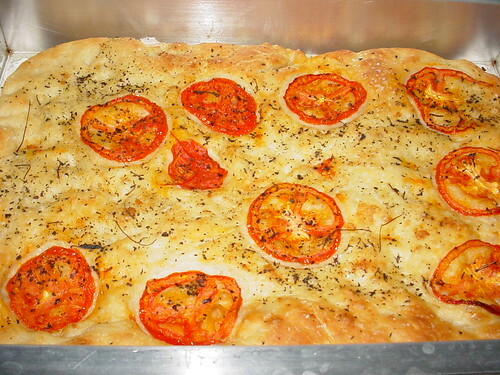 I do not like it when bakers attempt to turn focaccia into pizza by piling a crap load of toppings on it. 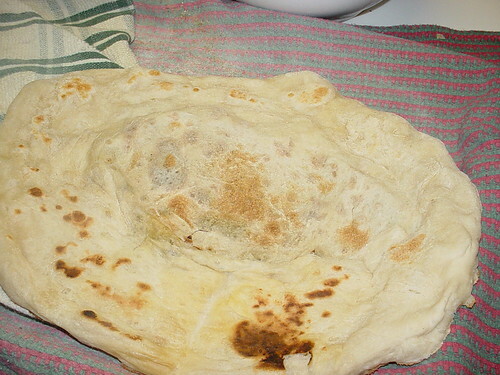 It should be a simple flat bread, flavored with olive oil and some herbs as it’s base. I like to use some mashed garlic and mix it in the olive oil and maybe include some sliced tomato as an extra garnish. The dough can be very flexible as well. Use a dough that is not too stiff and can be easily coaxed into all corners of your baking dish. 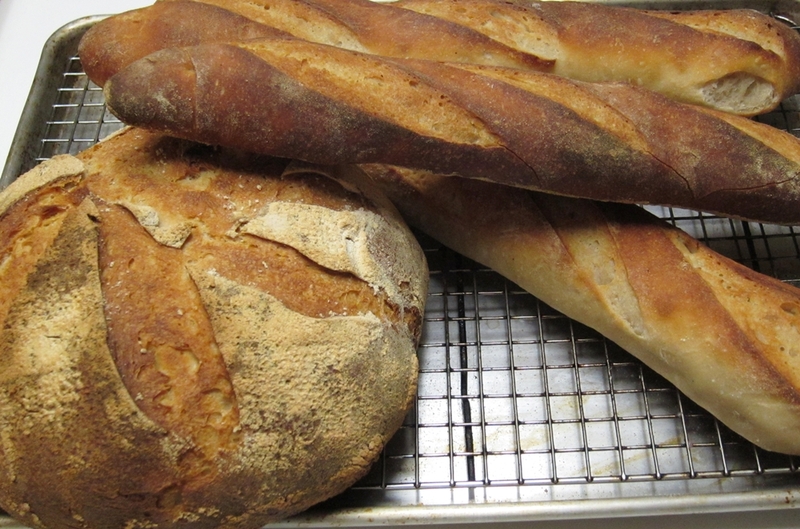 The dough I used here is again Pain al ‘ancienne from Peter Reinhart’s book, “The Bread Baker’s Apprentice“. The same one used for the dandelion pizza. To prepare the pan, I oil it generously with olive oil and then plop the dough in there and start stretching it all over. It is much easier than it sounds. I then drizzle with garlic-olive oil, salt, pepper, some crushed oregano and the tomato slices which I embed in the dough. After it is baked you can eat it as is, but to make a meal out of it, the options are endless. 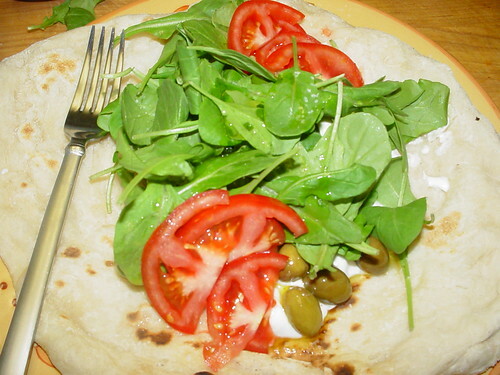 Serve it with cheese, olives, some greens or like we had this one for dinner with an arugula, red onion and feta salad.